It is time to speak about cellulite, a beauty ailment that concerns a whooping number of women. No matter your constitution, you can get cellulite. Even if you are on the skinny side, like myself. 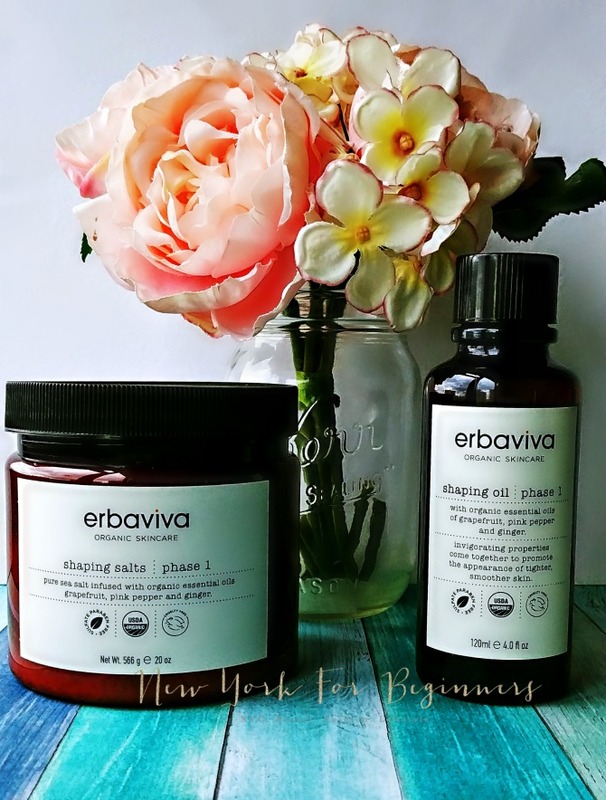 That is why I wanted to share with you my experience with Erbaviva, an organic body and skincare line carefully crafted in the USA that has a wonderful line to treat stubborn cellulite using only safe and 100% natural ingredients. 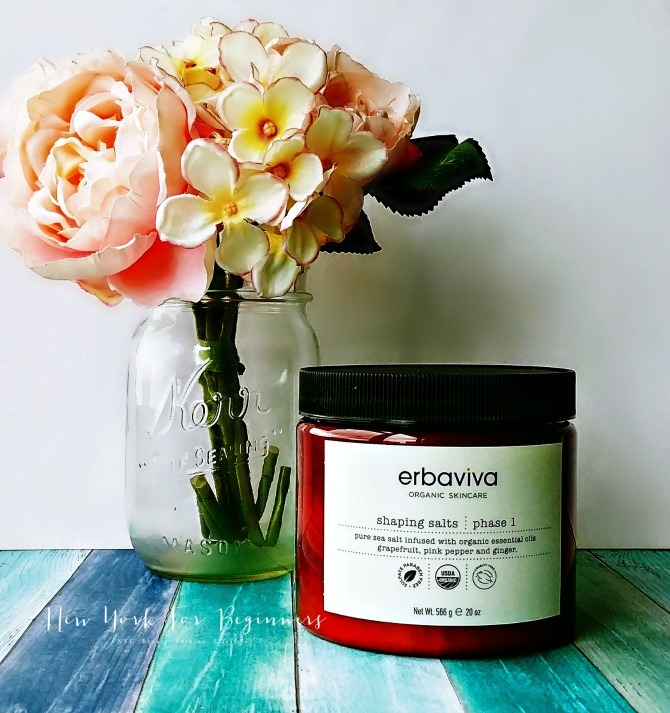 You might be familiar with Erbaviva because they manufacture one of my favorite natural deodorants. Wait for the cellulite line: You can thank me later. 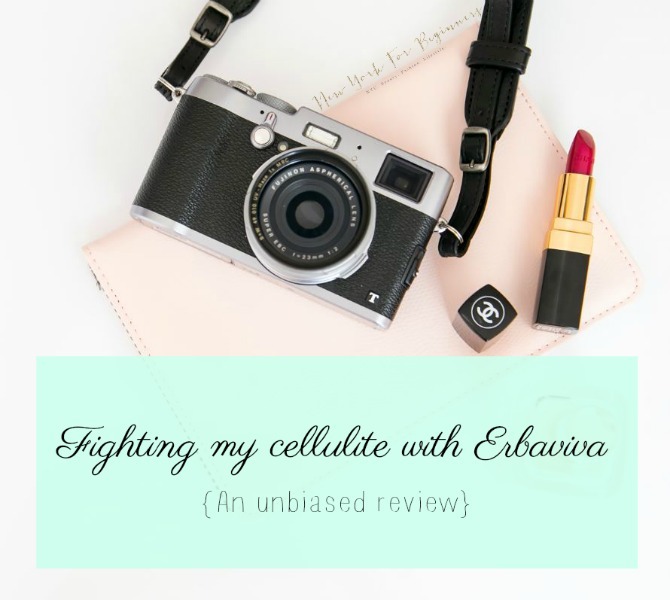 Erbaviva has an organic plan to help fight my cellulite with a two-pronged approach: They first shape, and then they go firming. As simple as that. So I am going to be completely honest with myself, and admit that my cellulite looks bad. I am small but curvy, and having dimples and bumps in my thighs is not an Instagram-worthy situation at all. As a beauty reporter, I have used dozens of products that attack cellulite, some more successful than others. 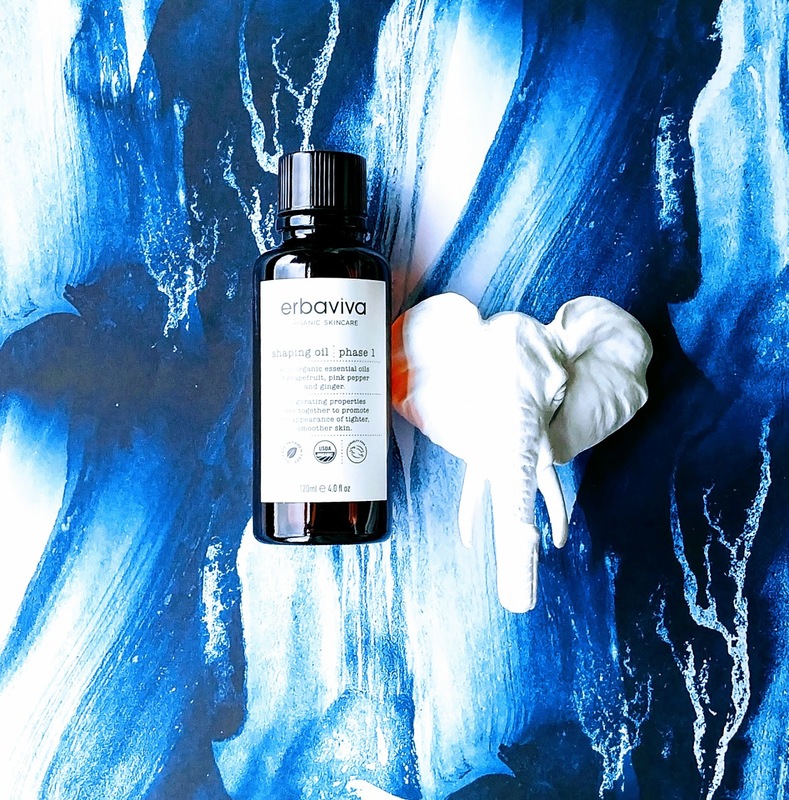 However, as I transitioned into a green beauty routine for health reasons, it was hard for me to find a good organic alternative. The oils that I tried in the past were simply not effective, which leads me to believe that it takes a savvy combination of ingredients to attack the water retention and fat dimples that make me want to cry every time I see myself in a bikini. 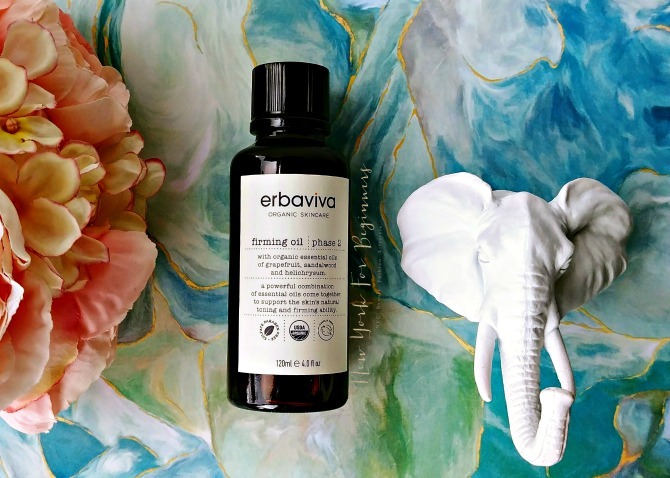 So I started the Erbaviva anticellulite regime in August. The Phase I consists of the wonderful Shaping line, composed of an oil and bath salts. This first phase promotes the appearance of tighter, smoother skin by alleviating water retention through stimulating circulation and detoxification. And who are to blame? 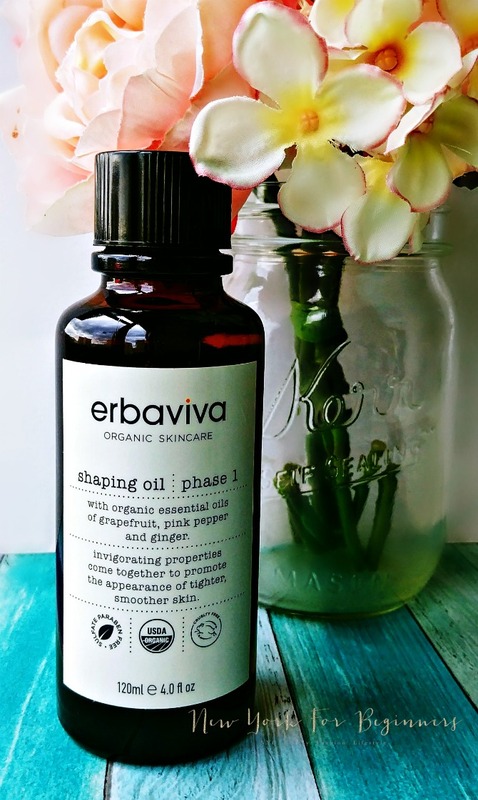 The savvy combination of certified organic essential oils of pink pepper, grapefruit, and ginger, which are well-known detoxifiers in the natural world. Believe me, in Phase I you are going to feel how these oils promote circulation. The shaping salts can be used in two ways: As a scrub in combination with the shaping oil, or as a relaxing and detoxifying bath. I have to confess that I hate seeing a good product go to waste, so I used a bit of almond oil to do a scrub first (hello, circulation!) and then filled my tub with water to keep the goodness coming. The second part of my carefully crafted attack consisted of using the shaping oil in the morning with a bit of dry brushing to help my cellulite start the day in good shape, and a bit of cupping at night. Yes, you read it correctly. Cupping. By using a Lure silicone cup as if it were a ventose system, I stimulate my legs’ circulation and hence help the essential oils do their work. Want to see the results after a month of this regime? This is what I posted on my Instagram (you can follow New York For Beginners here!). For the first time in a while, I was not ashamed of showing my curvy parts. They appeared tighter, firmer, and what is most important, my legs felt lighter. Promoting circulation is one of the best things you can do for your body, and it will surely thank you! After my shaping phase, I wanted to attack my cellulite with a firming plan of action. My only setback was that I was so busy covering different shows during the summer (hello Cosmoprof, Beauty Squared, Indie Beauty Expo, New York Now and Fashion Week!) that I sat a lot. And my cellulite loved every single minute of it. Instead of being discouraged, I continued with a couple more weeks of my Phase I plan. And tried to curb my cheese-eating habit. So two weeks ago I started my Phase II: Firming. This time, the essential oil base composition is different: Grapefruit, rosemary, helichrystum, and frankincense mixed with a savvy touch of anti-inflammatory vanilla. The scent is to die for. 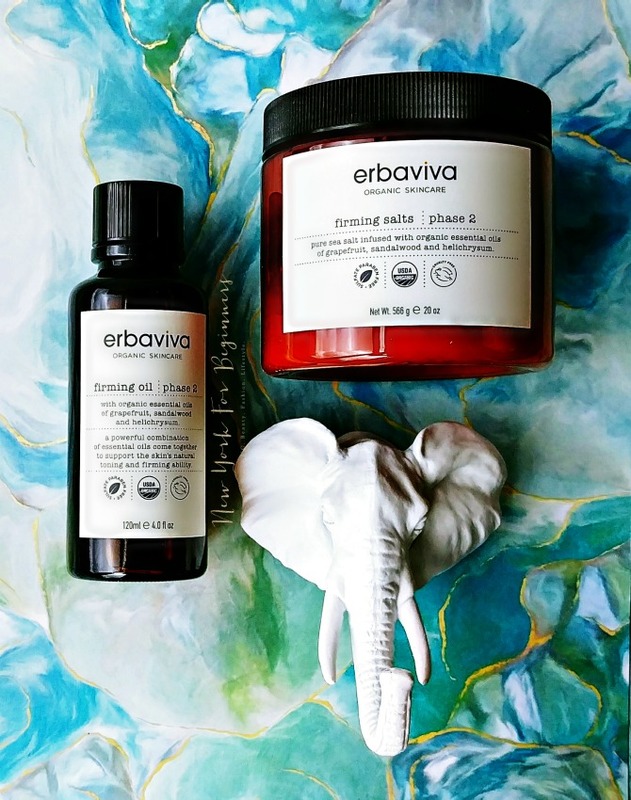 As Fall is already here, I continue my summer regime of dry brushing in the morning with Erbaviva Firming Oil and scrubbing / bathing with Erbaviva Firming Salts followed with a good ‘ole dose of cupping with the firming oil at night. Sounds like a tongue-twister, but the process is actually very simple. At this point, I am very comfortable in my own skin. I try not to take myself too seriously, but having cellulite is something that I have always been a bit ashamed of, to the point of avoiding showing my dimpled legs as much as possible (buh bye, shorts, hello, skirts!) However, getting rid of some of the most visible aspects of having cellulite has given me an extra boost of self-confidence. I feel good and it shows! 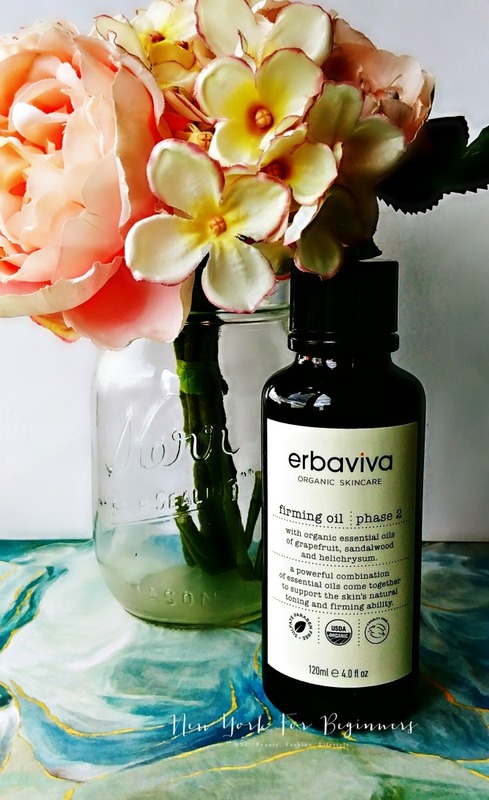 The Erbaviva regimen has worked wonderfully on my skin. I see more of the good tightness going on (I would swear that my legs are less swollen as they don’t feel so heavy anymore after a hectic day), and the dimples are waaay less visible. I’m not going to lie to you: My cellulite has not erased as if by magic. There is no miracle cure here. But the results are as good as the ones I got with my favorite product, minus the nasties. These products are all-organic, made in the USA by a B Certified corporation, and that resonates with my green beauty soul in so many ways! Disclosure Level 1: The author received NO compensation to write this article. The author received samples of the products mentioned for editorial consideration, which didn’t influence the decision to write about the brand nor the opinions expressed. All links are for further information and aren’t part of an affiliate marketing program.